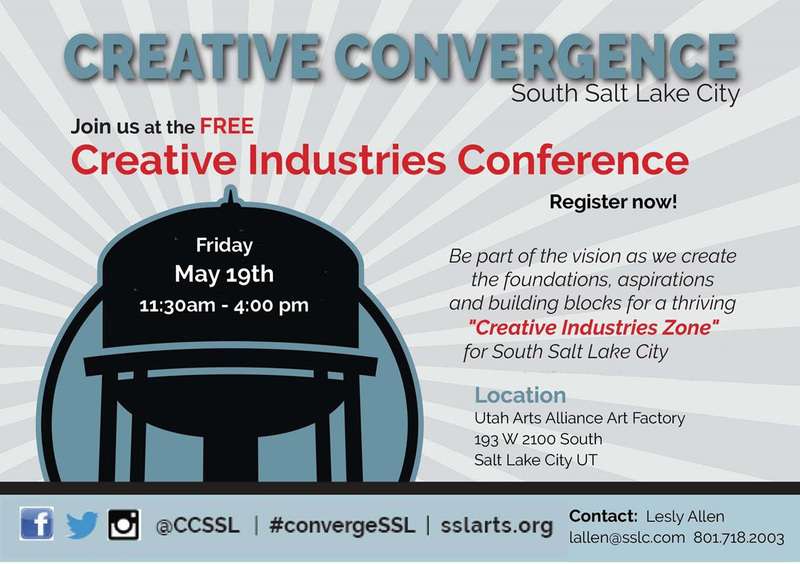 Be a part of this high-impact event that will shape the future of arts and creative businesses in South Salt Lake. The SSL Arts Council is working with the community to plan for an an arts and creative industries zone in the city and needs your input! 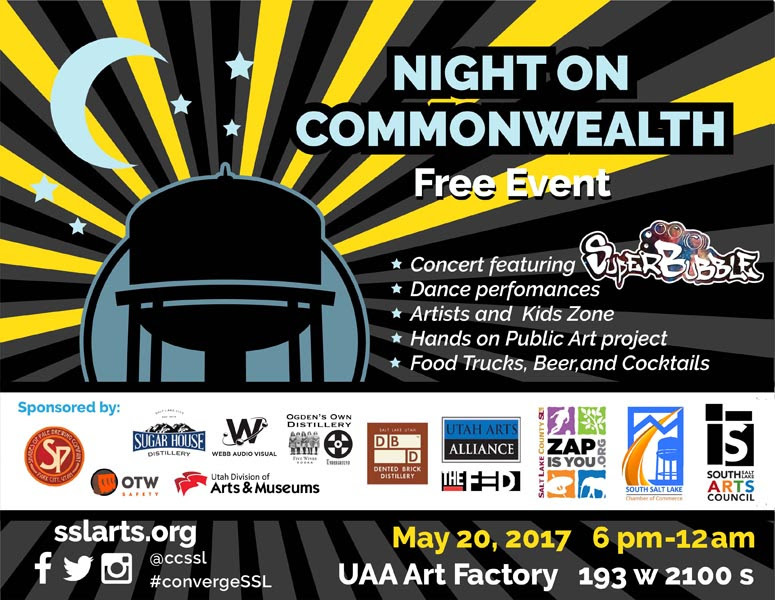 Join use for the Creative Industries Conference on May 19th and the 2nd annual Night on Commonwealth on May 20th. Join us at the Creative Industries Conference for artists, creatives, makers and small businesses to help shape a Creative Industries Zone while networking with other creatives to boost your business. Then, come out and see us at the 2nd Annual Night on Commonwealth. This all-ages community event features music, food trucks, beer and drinks, community art project and a kids zone.